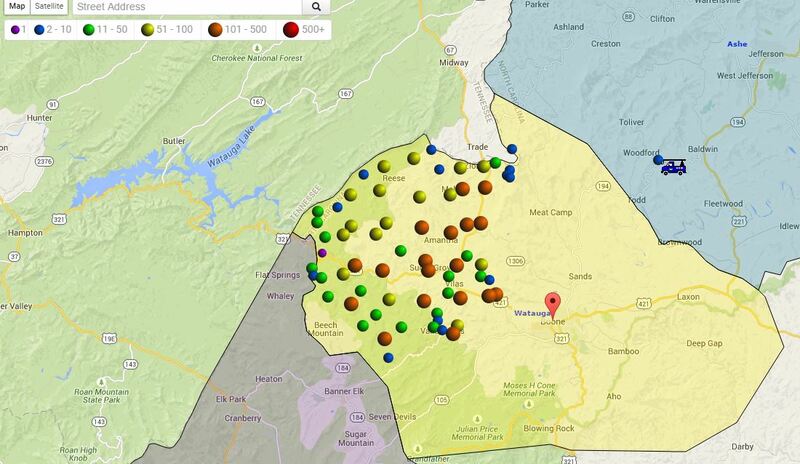 A power outage is impacting a large section of western Watauga County. 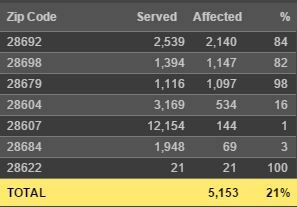 This view of the Blue Ridge EMC outage map at 6:58pm shows 5,130 outages. WataugaRoads.com has been in contact with an official from Blue Ride EMC and will update as more information is available.